Singh is expected to review the situation on the border and assess the progress in various infrastructure projects. 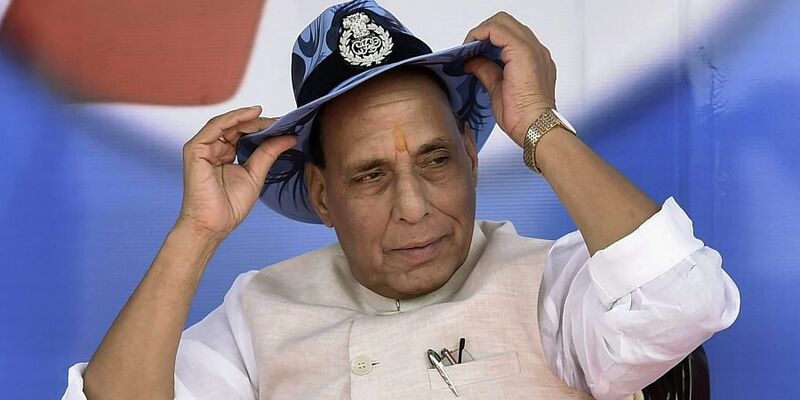 NEW DELHI: Home Minister Rajnath Singh will celebrate Dussehra and perform 'shastra puja' in Bikaner along the highly sensitive Indo-Pak border, officials said Sunday. Perhaps this is for the first time that a senior minister of the central government will conduct 'shastra puja' or worship of weapons along India's border with Pakistan, with whom India fought full scale wars. The home minister will celebrate the Dussehra festival with the jawans of the Border Security Force (BSF) posted in Rajasthan's Bikaner along the Indo-Pak border on October 19, a home ministry official said. Singh will also perform the 'shastra puja' at the Border Out Post (BOP) located at the forward areas. 'Shastra puja' is part of the 'Dussehra' festival which is celebrated for the victory of Lord Ram over Ravana. During the two-day visit, the home minister will arrive in Bikaner on October 18, stay the night at the BOP, before celebrating the festival with the jawans on October 19, the official said. Singh is expected to review the situation on the border and assess the progress in various infrastructure projects. He will attend a 'Bada Khana' (feast with the jawans) and address the security personnel, another official said. The 3,323-km-long Indo-Pak border is considered to be highly sensitive. Even though the border in Rajasthan is peaceful, the border guarding forces of the two countries often engaged in massive firing in Jammu and Kashmir, leading to loss of human lives and properties. Last year, the home minister had celebrated Dussehra at Joshimath in Uttarakhand along the Sino-Indian border.